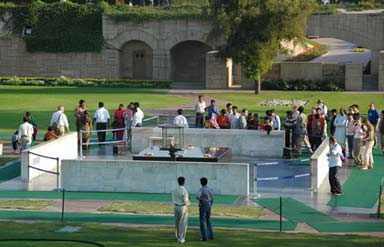 Raj Ghat is a memorial built in memory of Mahatma Gandhi, the Father of the Nation. He was a great freedom fighter of our country. 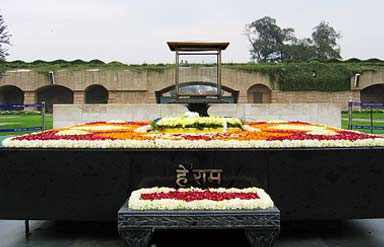 Raj Ghat is a simple black marble platform which marks the spot where Gandhiji was cremated on 31 January in the year 1948. An eternal flame burns near the platform and a stone footpath leads to the enclosure that houses the memorial. The memorials of Jawaharlal Nehru-the first prime minister of India, Indira Gandhi, Sanjay Gandhi, Rajiv Gandhi and Lal Bahadur Shastri are also located inside Raj Ghat. Raj Ghat has several beautiful lawns fitted with fountains. Visitors can sit there and relax in the peaceful surroundings. The memorial bears the epitaph Hē Ram, (meaning 'O' Ram', but also translated to 'O God). These were the last words spoken by Gandhi ji. Visitors are required to remove their footwear before approaching the memorial as a sign of respect. 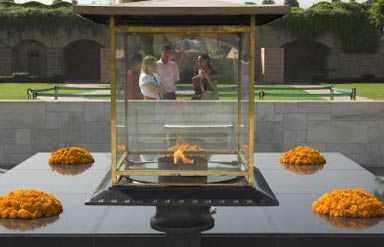 A commemorative ceremony is held every Friday to mark the day Gandhi died. Prayer sessions are held at the Raj Ghat on Gandhi's birth and death anniversaries. 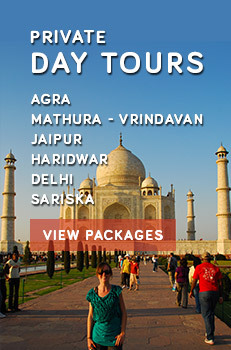 Also visit the two museums dedicated to Gandhiji, located nearby. The museums house several belongings and photographs of Gandhiji. It is customary for foreign dignitaries visiting India to pay homage to Gandhi at the Raj Ghat by laying wreaths on the platform. The memorial was designed by Vanu G. Bhuta, and this national shrine was bestowed with several awards for its architectural design.